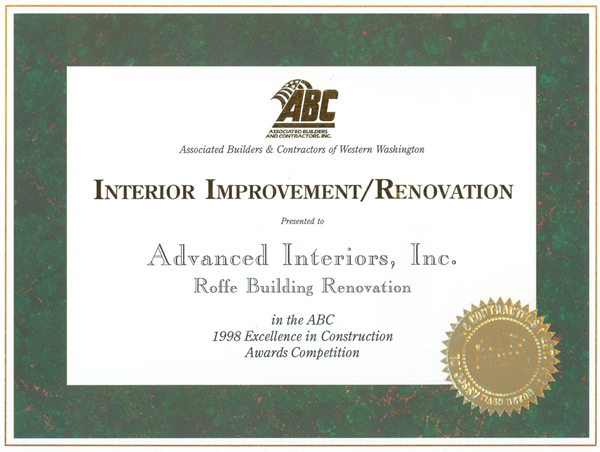 Advanced Interiors, Inc. is a charter member of the Associated Builders and Contractors Retro Program. This instrumental program is instituted by the Washington State Department of Labor and Industries. 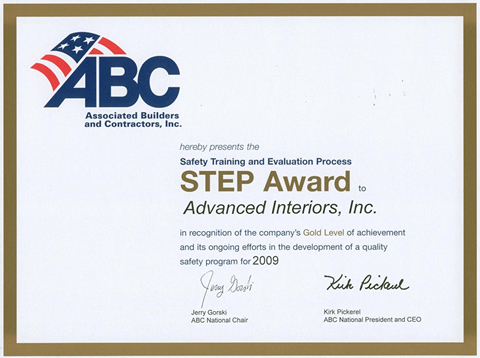 We take a proactive approach to site-specific safety with Washington Industrial Safety and Health Act (WISHA) and Occupational Safety and Health Administration (OSHA) and spot check inspections by WISHA.